A comprehensive photography service for conferences across the UK and Europe. 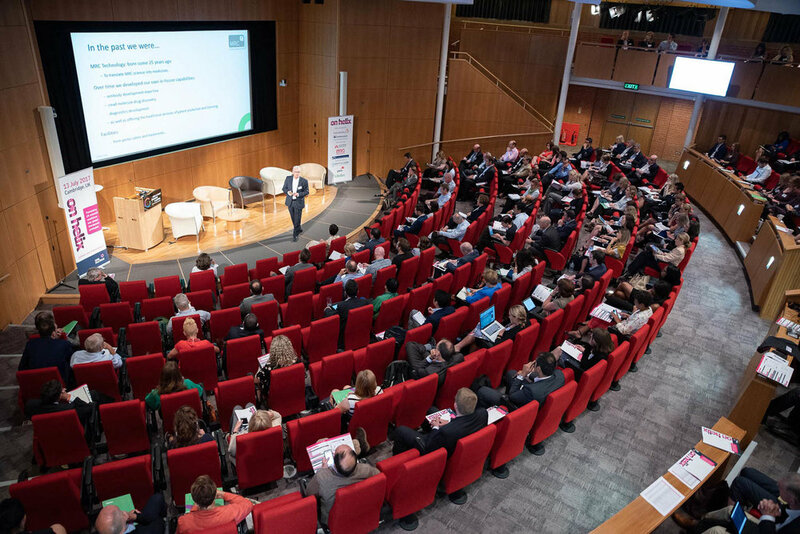 Capturing all aspects of your conference, including speakers, crowds, networking sessions, gala dinners and delegate activities. If requested you can have slideshows throughout the conference to show your delegates as they come back from a drink or food break. A live photo gallery can be set-up during the event for your marketing team to use for social media and making the most out of your Twitter feed and hashtags. If you have a business based at an industrial plant or manufacturing site, at some stage there will be a need for professional photography to illustrate your activities and infrastructure. Media Imaging Solutions has the experience to produce eye catching photography of your business so that you can update all your promotional material - be it for your company web site or brochures. Creating dynamic photos which communicate your message to your target audience. Whatever the brief or deadline Media Imaging Solutions have the skills and expertise to create the right public relations photo shoot for your business. We create striking PR photographs that maximise the exposure of your brand and help you stand out from the crowd. If time permits, edited images are sent out the same day to you or your media contacts. When submitting a brief for your PR job please include any deadlines you may have. Architects and builders use the photography services at Media Imaging Solutions to create a photographic record of finished projects. Photos appear on architects' websites or in sales brochures. Architectural photography is a very specialised form of photography that requires knowledge of special camera techniques and post production skills. The contemporary staff portrait is a necessity these days. It's all about creating a professional image and taking pride in the business. To save you time and hassle I come to your business premises to take the head-shots. Staff members are not inconvenienced by having to leave the office. I bring along a mobile studio which takes about 30 minutes to set-up. Photos immediately appear on an iPad for approval. I can photograph 50 or 60 staff members in a day. A school’s prospectus relies on photography that can tell a story and show how unique and special your educational establishment is. Parents often make decisions based on first impressions when viewing online and printed material about your school. Strong and dynamic photography is going to fill them with confidence about your school or college. Photography will show a balance between academic achievement, sporting activities and creative endeavours that makes your school the place where parents and their children want to associate with. If your company produces products then chances are that you will need professional product photography to show your items in the best possible way and in turn increase your sales. Product photography happens at your business premises - so no need to worry about transport and insurance.